The CETEST test laboratory is accredited for wheel and axle fatigue and endurance homologation tests in accordance with EN 13260, EN 13261, EN 13262 and ISO 1143. 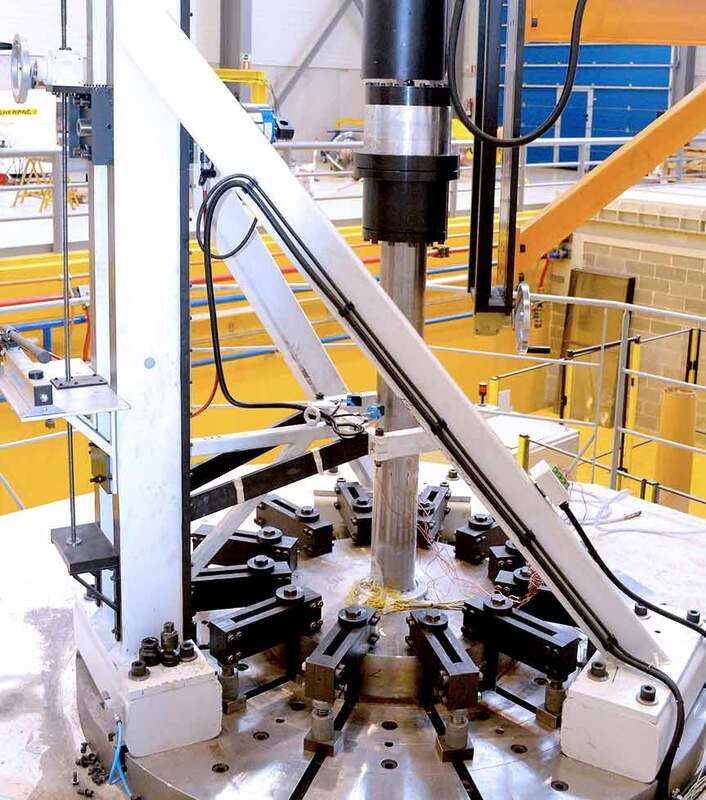 A special rig is dedicated to performing wheel and axle tests. They are pass/fail tests in which a cycling load is introduced as per the standard. If any cracks appear during the test, then the test piece is considered to have failed the test. The whole test is computer controlled. Besides standard compliance, we also help our clients verify the real limits of the design by testing samples under exceptional conditions. Static testing under service and exceptional loads. Assembly stiffness evaluation (including the rubber piece). We can also help define test loads. If required, we are capacitated for on-track evaluation to measure actual wheel-rail forces which will subsequently be used as test input data. We also help our clients verify the real limits of the design by testing samples under exceptional conditions.